Snoring occurs when the vibration of respiratory tissues produces sound when a person is sleeping. Although snoring is firstly a social problem, studies tend to show that it is much more than an annoyance. the risk to suffer from hypertension increases by 40%, by 34% to have a heart attack, and by 67% to have a stroke, compared to people who do not snore. These results suggest clinicians should take snoring a lot more seriously. 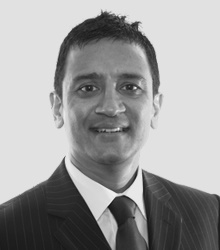 Speak to Dr Minesh Patel today about how your snoring problem can be addressed. Dr Minesh Patel recently gained a Master’s Degree in Restorative and Aesthetic dentistry from the elite Manchester University. He gained the difficult to achieve merit pass and the highest achiever prize. Find out more about Dr Minesh Patel here, Follow Dr Minesh Patel on Twitter here and visit Dr Minesh Patel Crunchbase page here.